Italian symphonic metal gods RHAPSODY OF FIRE, started their career in Trieste in the mid 90’s (releasing their first albums under the banner of “Rhapsody”), the debut ‘Legendary Tales’ (1997) and the second studio album ‘Symphony Of Enchanted Lands’ (1998) made a huge impact on the scene with a unique mixture of classic power metal, baroque/classical elements, operatic choirs and movie-like orchestrations. A huge worldwide fan base was built very quickly and the first five albums (which sold combined way over 1.000.000 copies) placed Rhapsody on top of the best-selling and most popular metal artists worldwide. They have played several tours all around the world in front of amazing crowds from Sao Paulo to Tokyo. In 2004, Christopher Lee, a world-renowned actor that played in numerous movies including The Lord of The Rings as Saruman, contributed to the band by narrating and singing in their recordings. The most famous song that illustrates this unforgettable cooperation is “The Magic Of the Wizard’s Dream”. From 2011, Alex Staropoli invited his longtime friend Roby De Micheli to become the new guitarist of RHAPSODY OF FIRE to continue producing music in the more classic and heavy direction that the fans loved so much. After the ‘Live - From Chaos To Eternity’ double live album, released in early 2013, only six months later ‘Dark Wings Of Steel’ was unleashed. Music had been written by Alex Staropoli and his brother Manuel. It marked a first step back to the band’s roots, which continued in 2016 consequently with “Into The Legend”, their 11th studio album - another legendary and possibly the most accomplished masterpiece this forceful band has ever produced. The band is now entering another important chapter of its history with a new singer, Giacomo Voli, a talented and powerful singer well known in Italy for his second place at The Voice in 2014. 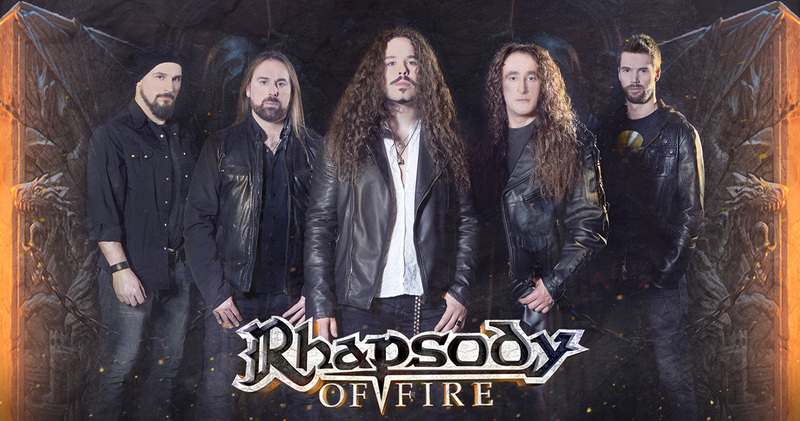 The year 2017 will be the occasion to celebrate the 20th Anniversary of RHAPSODY OF FIRE with a brand new family of passionate and strong musicians. 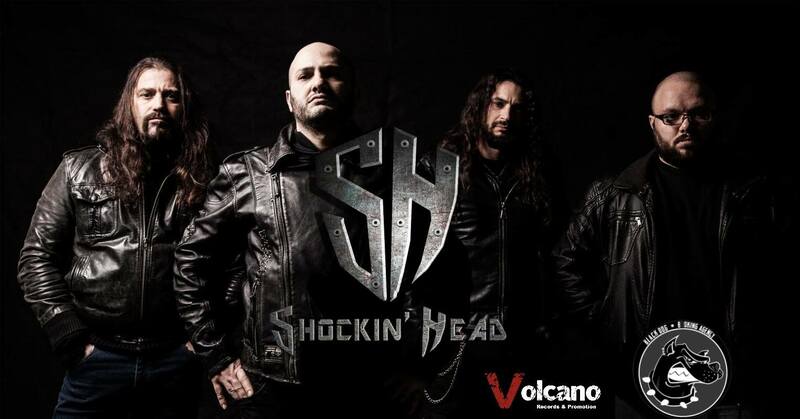 Gli Shockin'Head (Daniele Sedda alla voce, Zac Vanders alla chitarra, Black Ale al basso e Tore Di Giovanni alla batteria) nascono nella primavera del 2017 dalla fusione di vari membri di storiche band del ponente Ligure come Chupacabras, R.A.V.E.D. ed Estremo Ponente. Il destino e la stima reciproca li ha fatti incontrare e dopo un periodo di clandestina sala prove hanno deciso, convinti dal sound ottenuto, di fondare insieme una nuova band heavy metal. La sintonia ottenuta ha permesso in poco tempo la scrittura di otto tracce inedite dal sound tagliente e dall'impatto live devastante. 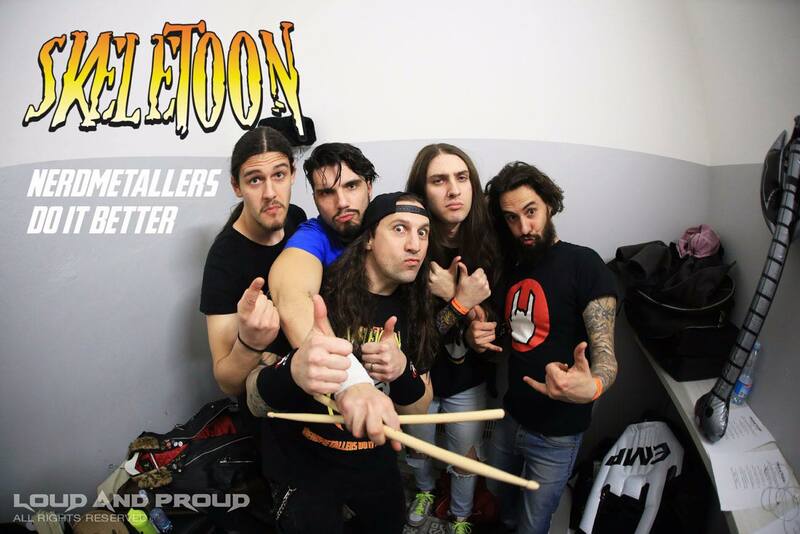 Dopo un breve pellegrinaggio su vari palchi del nord italia, si chiudono finalmente in studio per la registrazione del loro primo album che vedrà la luce nel Gennaio 2019, in collaborazione con la Volcano Records. Nello stesso periodo la band ha un cambiamento di formazione dove il batterista Salvatore Di Giovanni prende il posto di Frederic Volante. Le tematiche trattate nelle loro canzoni toccano argomenti di realtà quotidiane vicine alle esperienze vissute dai componenti della band e che sicuramente troverà similitudini con le vite di chi ascolterà questo lavoro, il tutto accompagnato da un sound potente alternato a melodia unica nel panorama nostrano. Cover Hard n' Heavy principalmente anni 70/80. Un tributo a tutte le principali band che hanno caratterizzato il genere.